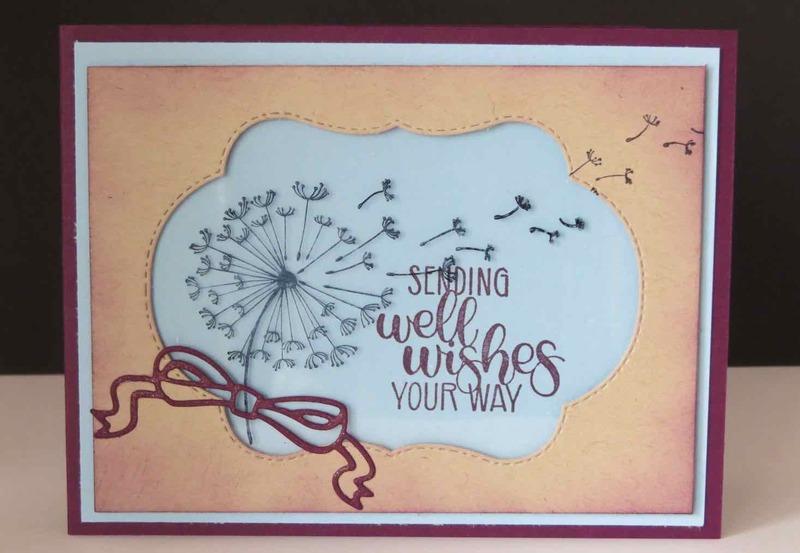 Karina's Kreations: Stampin'Up Dandelion Wishes Card! 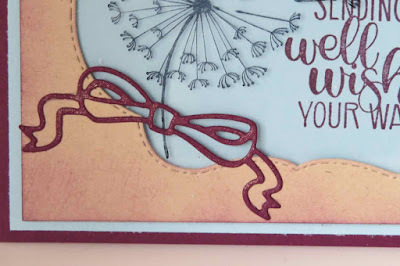 I got this gorgeous card from my friend Lorna Raczynski. I love how she combined the Dandelion stamp set with the Stitched Seasons Framelit Dies. These dies are only available in August and while supplies last. Lorna also used the bow die from the set and added a touch of Wink of Stella Glitter Brush. It gives the bow a little sparkle. The dandelion stamp set was stamped with Black Stazon ink on a window sheet. Isn't this a fun card? To order supplies for this card please click on a picture below.